When writing this I mainly have certain ghastly ”anti-modern-Church-articles” in mind, where authors on page after page throw dirt on the entire Church system, making it sound like ALL churches are rotten to the core, and that whosoever attends a church service in a church building is supporting the Harlot, and/or Babylon and does something that God hates. The authors might protest and say that this is NOT their point, BUT in that case they have totally failed to get their message across. If you write page after page with one bad example after the other, describing the entire Church system (or ”most” churches at best) as nothing but evil, not mentioning one single positive thing, then WHAT OTHER MESSAGE COULD THE READER POSSIBLY GET? 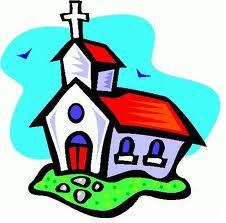 The reader will NATURALLY get the impression he/she does something wrong simply by attending a church – any church. The authors might very well scare readers into avoiding ALL churches, but sadly staying at home would be even MORE anti-Biblical and might very well cause weak christians to start living in the world. The problem with those anti-Church-authors (apart from being so one-sided and painting with a broad brush) is that they don’t provide a solution. Yes, some of them present a ”better way” and how a church is supposed to be, but where is this perfect Church? Oh, WE are the Church? Yes that is true in part, but the reader is still ALONE! Where does he find other christians who can encourage him with words and through prophesies, who he can sing with, socialize with, breaking bread with, pray with and spreading the Word with? I wish all those anti-Church authors would understand how much harm they do when they like bulldozers run across the entire Church system and scare people away from something that would benefit them greatly to take part in. I can refer to them below as AMCP (Anti-Modern-Church-People). I might very well use ”church” with the meaning of a certain building containing an assembly of christians. If someone starts off a series of articles by writing ”I’m not against Russians and I know all of them aren’t bad BUT….” and then writes page after page about his own bad experiences when it comes to Russians, and how evil he feels they are, how mean, nasty, corrupt, unreliable, dangerous, etc, – and not a single word about GOOD Russians – then is it a surprise that the reader will get the message that Russians are people to stay away from? If someone starts off with ”I’m not a cessationist, BUT…” and then writes page after page with examples of the misuse of tongues, then is it a surprise that the reader will get the idea that speaking in tongues is evil and something to avoid? Let’s not deceive ourselves. Some feel that sitting in front of the computer alone and watching a church service online equals ”not forsaking the assembling of ourselves together”, but could this be what Paul had in mind (even if internet was not invented during this time)? Some AMCP erect a strawman to battle, and they paint a picture of a REALLY poorly functioned church and either say that ”most” churches are like that or the entire ”church system”. Unfortunately people might believe them and run away from church and believe they can be home alone and still be spiritually fine. It’s a chance they will make it just fine, BUT it’s a huge risk they won’t. Especially if they are babes in Christ, if they have no others to be encouraged by on their walk, if they don’t have the discipline to pray and read the Bible and if they have ”friends” who are influencing them to live in the world. How about a little more balanced presentation of the Church? How about spending some time describing what MARVELLOUS transformations that have happened to people thanks to their experiences in a church? There are christians out there who do their utmost to get people IN to Church, but AMCP try to get people OUT of the Church whether this is their aim or not. ”No, WE are the Church, you don’t have to go anywhere to get to church!” they might say, but we cannot be an assembly of christians all alone and I’m afraid the work of certain ambitious AMCP leads to very lonely christians. Make sure you’re not only spreading negative things about Church. Do add some positive things as well (and you don’t have to lie since there are loads of good churches out there) because all are not as strong as you are in the faith. Leaving Church might be the LAST thing babes in Christ need. And don’t say ”I’m not asking them to leave a good Church but I’m just warning readers about bad churches” if the case is that you haven’t written anything but negative things about Church. Shouldn’t Jesus be enough? Say this to those who have lost their faith and/or who have started to live in the world due to tempting influences and too little christian support. Sure, you might have reasons to remove yourself from church, like due to a general lack of churches in your area, due to disability or due to work – but why encouraging others to take the same route? Do you really feel you are doing something that God wants by leading people away from church rather than TO church? That might not be your aim, but this is what you’re doing if you paint with a broad brush. 1) Christians stayed together and had fellowship with each other. 2) 3000 people were saved and added to them this particular day. Naturally they could not all fit into one house to worship together, so the solution must be to use several houses and/or a large building. 3) Baptism and breaking bread with others couldn’t be possible unless christians stayed together. 4) Wonders and signs wouldn’t get a large impact unless they were seen by others. 5) They did not abandon the temple, even though they could of course meet up also in homes. So ”ekklesia” means ”assembly of believers” or ”called out ones” and not a building of believers. WHAT’S THE BIG DIFFERENCE? Talk about splitting hairs and causing a division for the sake of causing a division! This is pure semantics. It’s not always wrong to cause a division, but then it better be about something important and worth while – like concerning a doctrine. It’s absolutely nothing wrong with saying ”going to church”, and we can find similar expressions in the Bible. When we say ”let’s go to church” we normally mean: meeting up with an assembly of christians who are inside a certain building, and together with them listening to one or more preachers teaching something from the Bible. We might also associate ”church” with general worship, singing christian songs, receiving and giving edification in form of interpreted tongues and prophesies, as well as socializing with other christians. All this is very biblical, so don’t fear those who try to intimidate you when you say ”go to church”. When you say ”I will go to church now”, you wouldn’t normally mean to go to an empty church building, but rather to meet up with the assembly of christians. So the word ”church” for this particular building is an EXCELLENT choice of word. I suspect AMCP ALSO express themselves with ”he went to church this morning” and ”look what a beautiful church!” and ”what church do you go to?” even though they complain about others who do the same. Biblical christians assembled together to almost 100% inside BUILDINGS for quite obvious reasons. They would have roof over their heads in case of bad weather, the preachers would be heard much better, they would be able to sit more comfortably and they would be closer to other important facilities. The Bible doesn’t give much instructions about the proper way to meet up for worship, so I believe we have some freedom. Below are some verses which show that Paul and the other disciples in no way tried to boycott the temple/synagogues just because they were now Christians. If they wanted to show that the synagogues were ”bad” in any way, then they could have settled to meet people outside the buildings, and also take the chance to explain why they do this. But instead they went to the temple/synagogues to pray, to preach/teach, to worship, to dispute, etc. They often kept track of times for the Sabbath day and/or prayer meetings, and they went through some jewish purification rituals. Jesus was constantly in the synagogues, and never can we read any negative statements about the synagogues themselves. Naturally you could find wicked rulers of the synagogues (and wicked doctrines), but you could also find the opposite, and people who accepted the new teaching. Just like synagogues, churches are merely buildings. They aren’t good or bad in themselves and they are what people make them to be. The first thing Paul did in Damascus after his conversion was to preach in the synagogues, so why couldn’t we today seek out churches and try to influence people in the same way? Is it really a better idea to sit at home and complain about the entire church system without providing a better alternative? Psalm 74:8 They said in their hearts, Let us destroy them together: they have burned up all the synagogues (meetings) of God in the land. Nowhere in the Bible can we read that it’s wrong to build synagogues or churches in order to make more room for christians and their worship. Luke 7:3And when he heard of Jesus, he sent the elders of the Jews unto Him, beseeching Him that He would come and heal his servant. 4And when they came to Jesus they besought Him earnestly, saying that the one for whom He should do this was worthy,5”for he loveth our nation, and he hath built us a SYNAGOGUE.” 6And Jesus went with them. And when He was not far from the house, the centurion sent friends to Him, saying unto Him, ”Lord, trouble not Thyself, for I am not worthy that Thou shouldest enter under my roof. Below are more verses that show that going to the temple/synagogue was natural for believers, and many people got their lives totally changed for the better thanks to their visits and exhortations. Why don’t we do the same instead of remaining at home alone? Jesus and his disciples were constantly in the synagogues, regardless if they were good or bad, and we could have the same approach about Church today. In some places Paul and his company might not have been allowed to preach that much due to hostile leaders, but it seems like they succeeded most of time, and they could also continue to discuss outside of the synagogues. In other cases the rulers of synagogues were God-fearing people:. Acts 9:19 And when he had received meat, he was strengthened. Then was Saul certain days with the disciples which were at Damascus. 20And straightway he preached Christ in the SYNAGOGES, that he is the Son of God.— 26And when Saul was come to Jerusalem, he assayed to join himself to the disciples: but they were all afraid of him, and believed not that he was a disciple.— 27But Barnabas took him, and brought him to the apostles, and declared unto them how he had seen the Lord in the way, and that he had spoken to him, and how he had preached boldly at Damascus in the name of Jesus.— 30Which when the brethren knew, the fear of the Lord, and in the comfort of the Holy Ghost, were multiplied. Acts 14:1And it came to pass in Iconium that together they both went into the SYNAGOGUE of the Jews, and so spoke that a great multitude of both the Jews and also of the GREEKS believed. Acts 18:4 And he reasoned in the SYNAGOGUE every sabbath, and persuaded the Jews and the GREEKS.— 7And he departed thence, and entered into a certain man’s house, named Justus, one that worshipped God,whose house joined hard to the synagogue. 8And Crispus, the chief ruler of the synagogue, believed on the Lord with all his house; and many of the Corinthians hearing believed, and were baptized. Acts 18:17 Then all the Greeks took Sosthenes, the chief ruler of the synagogue, and beat him before the judgment seat.And Gallio cared for none of those things.18And Paul after this tarried there yet a good while, and then took his leave of the brethren, and sailed thence into Syria, and with him Priscilla and Aquila; having shorn his head in Cenchrea: for he had a vow. 19And he came to Ephesus, and left them there: but he himself entered into the SYNAGOGUE, and reasoned with the Jews. 20When they desired him to tarry longer time with them, he consented not; 21But bade them farewell, saying, I must by all means keep this feast that cometh in Jerusalem: but I will return again unto you, if God will. And he sailed from Ephesus. 22And when he had landed at Caesarea, and gone up, and saluted the church, he went down to Antioch. 23And after he had spent some time there, he departed, and went over all the country of Galatia and Phrygia in order, strengthening all the disciples. Acts 18:24 And a certain Jew named Apollos, born at Alexandria, an eloquent man, and mighty in the scriptures, came to Ephesus..25This man was instructed in the way of the Lord; and being fervent in the spirit, he spake and taught diligently the things of the Lord, knowing only the baptism of John. 26And he began to speak boldly in the SYNAGOGUE: whom when Aquila and Priscilla had heard, they took him unto them, and expounded unto him the way of God more perfectly.27And when he was disposed to pass into Achaia, the brethren wrote, exhorting the disciples to receive him: who, when he was come, helped them much which had believed through grace: 28For he mightily convinced the Jews, and that publicly, shewing by the scriptures that Jesus was Christ. Acts 19:1 And it came to pass, that, while Apollos was at Corinth, Paul having passed through the upper coasts came to Ephesus: and finding certain disciples,—8And he went into the SYNAGOGUE, and spake boldly for the space of three months, disputing and persuading the things concerning the kingdom of God. 9But when divers were hardened, and believed not, but spake evil of that way before the multitude, he departed from them, and separated the disciples, disputing daily in the school of one Tyrannus. 10And this continued by the space of two years; so that all they which dwelt in Asia heard the word of the Lord Jesus, both Jews and Greeks.—37For ye have brought hither these men, which are neither robbers of churches, nor yet blasphemers of your goddess. Paul gives instructions to the assembly of christians (Church) concerning the treatment of widows. He would prefer if widows could be taken care of by individuals rather than having the CHURCH providing for them. In this way the Church could focus on those widows who are really in need and who don’t have anyone else providing for them. The idea shouldn’t be ”I let the Church provide for my elderly mother and/or aunt, and in that way my household won’t have to provide for them”. If we can never say ”I’m going to Church” because WE as christians are always the Church, then neither does the below verse make any sense. Here we can read that Paul, Barnabas etc were ”received” by the Church. It’s a shame that Diotrephes (above) didn’t make the same choice. Of course it’s better to receive godly men into Church, instead of casting them out. Paul contrasts ”we” with ”the Church” here below. He is also talking about ”when ye come together in the Church”. This is a very close ring to ”going to Church” which the AMCP so often complain about. Apparently Paul takes for granted that we are GOING AWAY when we ”come together in the Church” because he complains about people who take the chance to eat a lot of food while being in the Church. Paul asks ”have ye not houses to eat and to drink in?” and ”if any man hunger, let him eat AT HOME”. 1 Cor. 11:1Be ye followers of me, even as I also am of Christ.2Now I praise you, brethren, that ye remember me in all things, and keep the ordinances, as I delivered them to you. —4Every man praying or prophesying, having his head covered, dishonoureth his head.—16But if any man seem to be contentious, WE have no such custom, NEITHER the churches of God. 17Now in this that I declare unto you I praise you not, that ye come together not for the better, but for the worse. 18For first of all, when ye come together in the church, I hear that there be divisions among you; and I partly believe it. 19For there must be also heresies among you, that they which are approved may be made manifest among you. 20When ye come together therefore into one place, this is not to eat the Lord’s supper. 21For in eating every one taketh before other his own supper: and one is hungry, and another is drunken. 22What? have ye not houses to eat and to drink in? or despise ye the church of God, and shame them that have not? what shall I say to you? shall I praise you in this? I praise you not.—30For this cause many are weak and sickly among you, and many sleep.—33Wherefore, my brethren, when ye come together to eat, tarry one for another. 34And if any man hunger, let him eat at home; that ye come not together unto condemnation. And the rest will I set in order when I come. Paul says women should be silent in a teaching situation in Church and in this instance he is speaking of a place and not a metaphor for people because he then gives permission for them to speak at home. 1 Cor. 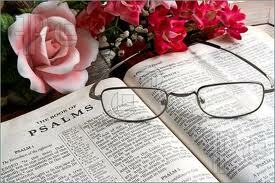 14:33For God is not the author of confusion, but of peace, as in all churches of the saints. 34Let your women keep silence in the churches: for it is not permitted unto them to speak; but they are commanded to be under obedience as also saith the law. 35And if they will learn any thing, let them ask their husbands at home: for it is a shame for women to speak in the church. 1 Cor.16:1Now concerning the collection for the saints, as I have given order to the churches of Galatia, even so do ye. 2Upon the first day of the week let every one of you lay by him in store, as God hath prospered him, that there be no gatherings when I come.— 10Now if Timotheus come, see that he may be with you without fear: for he worketh the work of the Lord, as I also do. 11Let no man therefore despise him: but conduct him forth in peace, that he may come unto me: for I look for him with the brethren. 12As touching our brother Apollos, I greatly desired him to come unto you with the brethren: but his will was not at all to come at this time; but he will come when he shall have convenient time.—15I beseech you, brethren, (ye know the house of Stephanas, that it is the firstfruits of Achaia, and that they have addicted themselves to the ministry of the saints,) 16That ye submit yourselves unto such, and to every one that helpeth with us, and laboureth. 17I am glad of the coming of Stephanas and Fortunatus and Achaicus: for that which was lacking on your part they have supplied. 18For they have refreshed my spirit and yours: therefore acknowledge ye them that are such.19The churches of Asia salute you. Aquila and Priscilla salute you much in the Lord, with the church that is in their house. 2 Cor. 12:7 Have I committed an offence in abasing myself that ye might be exalted, because I have preached to you the gospel of God freely? 8I robbed other churches, taking wages of them, to do you service. 9And when I was present with you, and wanted, I was chargeable to no man: for that which was lacking to me the brethren which came from Macedonia supplied: and in all things I have kept myself from being burdensome unto you, and so will I keep myself.—12Truly the signs of an apostle were wrought among you in all patience, in signs, and wonders, and mighty deeds. 13For what is it wherein ye were inferior to other churches, except it be that I myself was not burdensome to you? forgive me this wrong. 2 Cor 8:1 Moreover, brethren, we do you to wit of the grace of God bestowed on the churches of Macedonia; 2How that in a great trial of affliction the abundance of their joy and their deep poverty abounded unto the riches of their liberality. 4Praying us with much intreaty that we would receive the gift, and take upon us the fellowship of the ministering to the saints.—14But by an equality, that now at this time your abundance may be a supply for their want, that their abundance also may be a supply for your want: that there may be equality: 15As it is written, He that had gathered much had nothing over; and he that had gathered little had no lack.17For indeed he accepted the exhortation; but being more forward, of his own accord he went unto you.18And we have sent with him the brother, whose praise is in the gospel throughout all the churches;19And not that only, but who was also chosen of the churches to travel with us with this grace, which is administered by us to the glory of the same Lord, and declaration of your ready mind:—23Whether any do enquire of Titus, he is my partner and fellowhelper concerning you: or our brethren be enquired of, they are the messengers of the churches, and the glory of Christ. 24Wherefore shew ye to them, and before the churches, the proof of your love, and of our boasting on your behalf. Paul explains that each part of the body exists to meet the needs of other body parts. In the same way, God intends each of us to meet the needs of other believers, using our strengths to help in their areas of weakness. 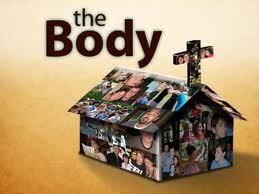 A Christian cannot claim to have all the body parts himself, being self-sufficient. In the OT we can read about a few godly believers who are rather alone in their faithful walk with God, but we can never read that this is according to their own desires. They didn’t have much choice! Neither are they evidence of that we can be just as fine without other christians, because there might be OTHER single believers out there who have drifted away due to no support from others. We are to comfort one another (1 Thess. 4:18), build up one another ( 1 Thess. 5:11), confess our sins to one another (James 5:16) and pray for one another (James 5:16). Probably because we need it to stay strong and to not lose our faith. How can we obey these directives if we stay away from the gathering of believers? 1 Cor. 12:11But all these worketh that one and the selfsame Spirit, dividing to every man severally as he will. 12For as the body is one, and hath many members, and all the members of that one body, being many, are one body: so also is Christ.14For the body is not one member, but many 15If the foot shall say, Because I am not the hand, I am not of the body; is it therefore not of the body?— 25That there should be no schism in the body; but that the members should have the same care one for another. 26And whether one member suffer, all the members suffer with it; or one member be honoured, all the members rejoice with it. 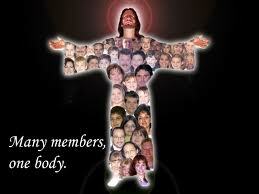 27Now ye are the body of Christ, and members in particular. 28And God hath set some in the church, first apostles, secondarily prophets, thirdly teachers, after that miracles, then gifts of healings, helps, governments, diversities of tongues. 29Are all apostles? are all prophets? are all TEACHERS? are all workers of miracles? Below we can read more about edification of the Church. Most of Paul’s instructions about behavior in the Church would be totally useless unless we are together with other christians. Paul says we should aim to edify the CHURCH by various spiritual gifts, and that is of course impossible for those who are home alone. Also Paul’s instructions about women being quiet in Church and instead asking questions to their husbands AT HOME, indicates he is talking about an environment with other christians, normally away from home. 1 Cor. 14:3But he that prophesieth speaketh unto men to edification, and exhortation, and comfort. 4He that speaketh in an unknown tongue edifieth himself; but he that prophesieth edifieth the church.-–12Even so ye, forasmuch as ye are zealous of spiritual gifts, seek that ye may excel to the edifying of the church.—16Else when thou shalt bless with the spirit, how shall he that occupieth the room of the unlearned say Amen at thy giving of thanks, seeing he understandeth not what thou sayest? 17For thou verily givest thanks well, but the other is not edified.19Yet in the church I had rather speak five words with my understanding, that by my voice I might teach others also, than ten thousand words in an unknown tongue.—23If therefore the whole church be come together into one place, and all speak with tongues, and there come in those that are unlearned, or unbelievers, will they not say that ye are mad? 24But if all prophesy, and there come in one that believeth not, or one unlearned, he is convinced of all, he is judged of all:— 26How is it then, brethren? when ye come together, every one of you hath a psalm, hath a doctrine, hath a tongue, hath a revelation, hath an interpretation. Let all things be done unto edifying. 27If any man speak in an unknown tongue, let it be by two, or at the most by three, and that by course; and let one interpret. 28But if there be no interpreter, let him keep silence in the church; and let him speak to himself, and to God.—33For God is not the author of confusion, but of peace, as in all churches of the saints. 34Let your women keep silence in the churches: for it is not permitted unto them to speak; but they are commanded to be under obedience as also saith the law. 35And if they will learn any thing, let them ask their husbands at home: for it is a shame for women to speak in the church. We are told that Jesus himself gave some to apostles, prophets, evangelists, pastors and teachers, and this was for perfecting of the saints, for the work of the ministry and for edifying of the BODY OF CHRIST. These different positions were to continue ”Till we all come in the unity of the faith, and of the knowledge of the Son of God, unto a perfect man, unto the measure of the stature of the fulness of Christ”. This has not happened yet:. Ephesians 4:10 He that descended is the same also that ascended up far above all heavens, that he might fill all things.) 11 And he gave some, apostles; and some, prophets; and some, evangelists; and some, pastors and teachers; 12 For the perfecting of the saints, for the work of the ministry, for the edifying of the body of Christ: 13 Till we all come in the unity of the faith, and of the knowledge of the Son of God, unto a perfect man, unto the measure of the stature of the fulness of Christ:14 That we henceforth be no more children, tossed to and fro, and carried about with every wind of doctrine, by the sleight of men, and cunning craftiness, whereby they lie in wait to deceive; 15 But speaking the truth in love, may grow up into him in all things, which is the head, even Christ:16 From whom the whole body fitly joined together and compacted by that which every joint supplieth, according to the effectual working in the measure of every part, maketh increase of the body unto the edifying of itself in love. Conditions and tasks for an elder, and note that not ALL people qualify for this task. Elders MUST be professionally trained. God designed the church as a place where spiritual leaders could watch out for our welfare, just like a shepherd who guards the sheep (1 Peter 5:1-4, Hebrews 13:17). A Christian who answers only to himself can easily rationalize sinful attitudes. Regular contact with other Christians can keep us sharp. In an assembly, it’s not right to let whosoever rise up to teach others. Christians are rather free to share witnesses, prophesies, songs and translating tongues (but we are still told to test all things), but the TEACHING should only be made by those who qualify. Read below about how elders are ordained and that not all people are to be trusted when it comes to teaching. The wrong person preaching could lead to doctrinal errors being spread, so be careful to NOT let people preach in your assembly just to be ”kind”. Naturally we should all spread the gospel to unbelievers (we are all told to make disciples), but when it comes to a situation where the assembly of God is supposed to be taught the truth in order to build up others, then it better be from a qualified teacher. Obviously we should always act like the Bereans regardless of who are doing the teaching and compare what we hear with scriptures, but not all have the ability to read and/or cover that much text, why it’s important that our teachers are qualified for their task. Titus 1:4 To Titus, mine own son after the common faith: Grace, mercy, and peace, from God the Father and the Lord Jesus Christ our Saviour. 5For this cause left I thee in Crete, that thou shouldest set in order the things that are wanting, and ordain elders (presbyterous) in every city, as I had appointed thee: 6If any be blameless, the husband of one wife, having faithful children not accused of riot or unruly. 7For a bishop must be blameless, as the steward of God; not selfwilled, not soon angry, not given to wine, no striker, not given to filthy lucre; 8But a lover of hospitality, a lover of good men, sober, just, holy, temperate; 9Holding fast the faithful word as he hath been taught, that he may be able by sound doctrine both to exhort and to convince the gainsayers. 10For there are many unruly and vain talkers and deceivers, specially they of the circumcision: 11Whose mouths must be stopped, who subvert whole houses, teaching things which they ought not, for filthy lucre’s sake. Acts 6:1And in those days, when the number of the disciples was multiplied, there arose a murmuring of the Grecians against the Hebrews, because their widows were neglected in the daily ministration. 2Then the twelve called the multitude of the disciples unto them, and said, It is not reason that we should leave the word of God, and serve tables. 3Wherefore, brethren, look ye out among you seven men of honest report, full of the Holy Ghost and wisdom, whom we may appoint over this business. 4But we will give ourselves continually to prayer, and to the ministry of the word. 5And the saying pleased the whole multitude: and they chose Stephen, a man full of faith and of the Holy Ghost, and Philip, and Prochorus, and Nicanor, and Timon, and Parmenas, and Nicolas a proselyte of Antioch: 6Whom they set before the apostles: and when they had prayed, they laid their hands on them. 7And the word of God increased; and the number of the disciples multiplied in Jerusalem greatly; and a great company of the priests were obedient to the faith. Acts 11:22Then tidings of these things came unto the ears of the CHURCH which was in Jerusalem: and they sent forth Barnabas, that he should go as far as Antioch. 23Who, when he came, and had seen the grace of God, was glad, and exhorted them all, that with purpose of heart they would cleave unto the Lord. 24For he was a good man, and full of the Holy Ghost and of faith: and much people was added unto the Lord. 25Then departed Barnabas to Tarsus, for to seek Saul: 26And when he had found him, he brought him unto Antioch. And it came to pass, that a whole year they assembled themselves with the church, and taught much people. And the disciples were called Christians first in Antioch. Here the apostles had ordained certain men to be elders in every church, and they prayed, fasted and commended them to the Lord. This shows the great importance involved. Acts 14:1And it came to pass in Iconium, that they went both together into the SYNAGOGUE of the Jews, and so spake, that a great multitude both of the Jews and also of the Greeks believed.—4But the multitude of the city was divided: and part held with the Jews, and part with the apostles.—23And when they had ordained them ELDERS (presbyterous) in every church (ekklesian), and had prayed with fasting, they commended them to the Lord, on whom they believed.— 27And when they were come, and had gathered the church together, they rehearsed all that God had done with them, and how he had opened the door of faith unto the Gentiles. 28And there they abode long time with the disciples. Hierarchy or not, but the church in Antioch brought Paul, Barnabas and certain others to Jerusalem to solve a certain question by the apostles and the elders there. Apparently they felt these men were more suitable to act in the matter. The church in Jerusalem ”received” them AND the apostles and the elders did as well. They decided to send some chosen men – CHIEF MEN among the brethren – to Antioch. These chief men exhorted the brethren with many words, and confirmed them. Acts 15:2When therefore Paul and Barnabas had no small dissension and disputation with them, they determined that Paul and Barnabas, and certain other of them, should go up to Jerusalem unto the apostles and elders (presbyterous) about this question. 3And being brought on their way by the church (ekklesias), they passed through Phenice and Samaria, declaring the conversion of the Gentiles: and they caused great joy unto all the brethren. 4And when they were come to Jerusalem, they were received of the church (ekklesian), and of the apostles and elders, and they declared all things that God had done with them.—6And the apostles and elders came together for to consider of this matter.—21For Moses of old time hath in every city them that preach him, being read in the synagogues every sabbath day. 22Then pleased it the apostles and elders with the whole church, to send chosen men of their own company to Antioch with Paul and Barnabas; namely, Judas surnamed Barsabas and Silas,chief men among the brethren:—23And they wrote letters by them after this manner; The apostles and elders and brethren send greeting unto the brethren which are of the Gentiles in Antioch and Syria and Cilicia.—25It seemed good unto us, being assembled with one accord, to send chosen men unto you with our beloved Barnabas and Paul,— 30So when they were dismissed, they came to Antioch: and when they had gathered the multitude together, they delivered the epistle:—31Which when they had read, they rejoiced for the consolation. 32And Judas and Silas, being prophets also themselves, exhorted the brethren with many words, and confirmed them.— 36And some days after Paul said unto Barnabas, Let us go again and visit our brethren in every city where we have preached the word of the LORD, and see how they do.—40And Paul chose Silas, and departed, being recommended by the brethren unto the grace of God. 41And he went through Syria and Cilicia, confirming the churches. Acts 16:1Then came he to Derbe and Lystra: and, behold, a certain disciple was there, named Timotheus, the son of a certain woman, which was a Jewess, and believed; but his father was a Greek: 2Which was well reported of by the brethren that were at Lystra and Iconium.—4And as they went through the cities, they delivered them the decrees for to keep, that were ordained of the apostles and elders which were at Jerusalem. 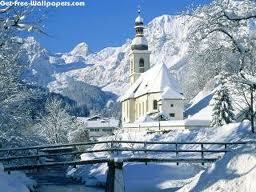 5And so were the churches established in the faith, and increased in number daily. 1 Cor 4:17For this cause have I sent unto you Timotheus, who is my beloved son, and faithful in the Lord, who shall bring you into remembrance of my ways which be in Christ, as I teach every where in every church. 18Now some are puffed up, as though I would not come to you. 1 Tim 1:2Unto Timothy, my own son in the faith: Grace, mercy, and peace, from God our Father and Jesus Christ our Lord. 3As I besought thee to abide still at Ephesus, when I went into Macedonia, that thou mightest charge some that they teach no other doctrine, 4Neither give heed to fables and endless genealogies, which minister questions, rather than godly edifying which is in faith: so do. 6From which some having swerved have turned aside unto vain jangling; 7Desiring to be teachers of the law; understanding neither what they say, nor whereof they affirm. 2 Tim. 2 And the things that thou hast heard of me among many witnesses, the same commit thou to faithful men, who shall be able to teach others also. 1 Tim 4:6 If thou put the brethren in remembrance of these things, thou shalt be a good minister of Jesus Christ, nourished up in the words of faith and of good doctrine, whereunto thou hast attained. 7But refuse profane and old wives’ fables, and exercise thyself rather unto godliness.—13Till I come, give attendance to reading, to exhortation, to doctrine. 14Neglect not the gift that is in thee, which was given thee by prophecy, with the laying on of the HANDS of the presbytery. 1 Tim. 5:19 Against an elder receive not an accusation, but before two or three witnesses. 20Them that sin rebuke before all, that others also may fear. 1 Tim 3:1This is a true saying, if a man desire the office of a bishop (episkopes), he desireth a good work. 2A bishop (episkopon) then must be blameless, the husband of one wife, vigilant, sober, of good behaviour, given to hospitality, apt to teach; 3Not given to wine, no striker, not greedy of filthy lucre; but patient, not a brawler, not covetous; 4One that ruleth well his own house, having his children in subjection with all gravity; 5(For if a man know not how to rule his own house, how shall he take care of the church of God? )6Not a novice, lest being lifted up with pride he fall into the condemnation of the devil. 7Moreover he must have a good report of them which are without; lest he fall into reproach and the snare of the devil.—10And let these also first be proved; then let them use the office of a deacon, being found blameless.11Even so must their wives be grave, not slanderers, sober, faithful in all things. 12Let the deacons be the husbands of one wife, ruling their children and their own houses well.—15But if I tarry long, that thou mayest know how thou oughtest to behave thyself in the house of God, which is the church of the living God, the pillar and ground of the truth. Titus 2:15These things speak, and exhort, and rebuke with all authority. Let no man despise thee. James 5:13Is any among you afflicted? let him pray. Is any merry? let him sing psalms. 14Is any sick among you? let him call for the elders (presbyterous) of the church (ekklesias) ; and let them pray over him, anointing him with oil in the name of the Lord: 15And the prayer of faith shall save the sick, and the Lord shall raise him up; and if he have committed sins, they shall be forgiven him. 16Confess your faults one to another, and pray one for another, that ye may be healed. The effectual fervent prayer of a righteous man availeth much. —19Brethren, if any of you do err from the truth, and one convert him; 20Let him know, that he which converteth the sinner from the error of his way shall save a soul from death, and shall hide a multitude of sins. 1 Peter 5 :1 The elders which are among you I exhort, who am also an elder, and a witness of the sufferings of Christ, and also a partaker of the glory that shall be revealed: 2Feed the flock of God which is among you, taking the oversight thereof, not by constraint, but willingly; not for filthy lucre, but of a ready mind; 3Neither as being lords over God’s heritage, but being examples to the flock. 4And when the chief Shepherd shall appear, ye shall receive a crown of glory that fadeth not away. 5Likewise, ye younger, submit yourselves unto the elder. Yea, all of you be subject one to another, and be clothed with humility: for God resisteth the proud, and giveth grace to the humble.— 13The church that is at Babylon, elected together with you, saluteth you; and so doth Marcus my son. 14Greet ye one another with a kiss of charity. Peace be with you all that are in Christ Jesus. Amen. 2 Peter 2:1But there were false prophets also among the people, even as there shall be false teachers among you, who privily shall bring in damnable heresies, even denying the Lord that bought them, and bring upon themselves swift destruction. So apparently elders are referred to as shepherds, so what is so horrible about calling elders ”pastors” today? How about warning about dangerous false doctrines instead of splitting hairs? ”didaskaloi” – means a master, a teacher or an instructor acknowledged for their mastery in their field of learning. Not all meet the requirements. James 3 1My brethren, be not many MASTERS, knowing that we shall receive the greater condemnation. Acts 13 1Now there were in the church that was at Antioch certain prophets and TEACHERS; as Barnabas, and Simeon that was called Niger, and Lucius of Cyrene, and Manaen, which had been brought up with Herod the tetrarch, and Saul. 2As they ministered to the Lord, and fasted, the Holy Ghost said, Separate me Barnabas and Saul for the work whereunto I have called them. 3And when they had fasted and prayed, and laid their hands on them, they sent them away. Hebrews. 5:12 For when for the time ye ought to be TEACHERS, ye have need that one teach you again which be the first principles of the oracles of God; and are become such as have need of milk, and not of strong meat. Romans 12: 6Having then gifts differing according to the grace that is given to us, whether prophecy, let us prophesy according to the proportion of faith; 7Or ministry, let us wait on our ministering: or he that TEACHES, on TEACHING; 8Or he that exhorteth, on exhortation: he that giveth, let him do it with simplicity; he that ruleth, with diligence; he that sheweth mercy, with cheerfulness. 1 Corinthians 12 28And God hath set some in the church, first apostles, secondarily prophets, thirdly TEACHERS, after that miracles, then gifts of healings, helps, governments, diversities of tongues. 29Are all apostles? are all prophets? are all TEACHERS? are all workers of miracles? 30Have all the gifts of healing? do all speak with tongues? do all interpret? 31But covet earnestly the best gifts: and yet shew I unto you a more excellent way. 1 Timothy 5 1Rebuke not an elder, but intreat him as a father; and the younger men as brethren; 2The elder women as mothers; the younger as sisters, with all purity. 3Honour widows that are widows indeed. 4But if any widow have children or nephews, let them learn first to shew piety at home, and to requite their parents: for that is good and acceptable before God. — 17Let the elders that rule well be counted worthy of double honour, especially they who labour in the word and DOCTRINE. 18For the scripture saith, thou shalt not muzzle the ox that treadeth out the corn. And, The labourer is worthy of his reward. 19Against an elder receive not an accusation, but before two or three witnesses. 20Them that sin rebuke before all, that others also may fear. Nowhere in the Bible will you see a verse which claims there must always be more than one ”elder” in an assembly. Those who claim this have the burden of proof to show it. Paul says that not all are apostles, teachers, etc, and he is very clear about that not all are qualified to be an elder. Let’s go through some of the verses which are often used as ”proof” for the idea that there must always be multiple elders in a church. Acts 14:2 21And when they had preached the gospel to that city, and had taught many, they returned again to Lystra, and to Iconium, and Antioch, 22Confirming the souls of the DISCIPLES, and exhorting THEM to continue in the faith, and that we must through much tribulation enter into the kingdom of God. 23And when they had ordained THEM ELDERS in every church, and had prayed with fasting, they commended them to the Lord, on whom they believed. Comment: Many places are spoken about and many disciples are mentioned. Those who were ordained elders were the disciples so the word should be in plural. It would be incorrect to say that they made them all ”elder in every church”. One person can not be several elders. Acts 20: 16For Paul had determined to sail by Ephesus, because he would not spend the time in Asia: for he hasted, if it were possible for him, to be at Jerusalem the day of Pentecost.17And from Miletus he sent to Ephesus, and called the ELDERS of the church. Comment: There happened to be several elders in the church of Ephesus. Acts 20:225And now, behold, I know that YE ALL, among whom I have gone preaching the kingdom of God, shall see my face no more.26Wherefore I take YOU to record this day, that I am pure from the blood of all men. 27For I have not shunned to declare unto YOU ALL the counsel of God.8Take heed therefore unto YOURSELVES, and to all the FLOCK, over the which the Holy Ghost hath made YOU OVERSEERS, to feed the CHURCH OF God, which he hath purchased with his own blood.29For I know this, that after my departing shall grievous wolves enter in among you, not sparing the flock. Comment. These verses speak against those who say there are always multiple elders in each church. The text says nothing of the sort. Paul is talking to a certain group of people (disciples) and they have all been made overseers by the Holy Ghost. THEY are therefore responsible, much like shepherds, to feed the flock which is the church of God (all christians). Not all people are called to be shepherds. Most of us are in the ”flock”. Paul also warns the disciples about grievous wolves which will enter in among them, not sparing the flock. This is exactly what might happen in churches that refuse to adhere to Paul’s rules about not letting whosoever become elders and teachers, and shepherds are responsible for not letting this happen. All are not apostles, teachers, prophets, and that means we should not allow people to be elders who are not qualified. Disobeying Paul’s instructions about this order will risk false teachers and teachings to enter in among us. In summary; don’t let anyone stand up and teach in your church! Comment: Several elders are spoken about here too, so it should be plural. Comment: Not sure how large Philippi was during this time (I’ve been there myself but about 2000 years later), and how many churches (assemblies) there were and how big each assembly was, but apparently the assemblies were big enough and blessed enough to have many bishops and deacons. It doesn’t say anywhere here either that there MUST be multiple bishops and deacons in each assembly. Comment: Paul didn’t restrict Titus to always settle with ONE elder per city. It would not make sense if Paul told Titus to make one single person an elder for multiple cities. Naturally then ”elder” should be in plural. Titus of course had instructions to follow, and he couldn’t make people elders who did not qualify for this. The qualifications for an elder follow right after Titus 1:5. If multiple people qualified they could be elders (likely the case) but if only one person qualified in a city, then Titus had to settle with him in order to be obedient to Paul’s instructions. Comment: What if Paul instead wrote that we should call for ”the elder” of the church. That would make it sound like Paul takes for granted there is never more than one elder per church. But there could absolutely be more than one elder per church, and this might very well be the most common case. More than one person could be qualified to be an elder in one and the same church. Clearly then Paul must use ”elder” in plural and not singular. In summary; there are no verses in the Bible which say there can never be only one elder in a church. The best scenario would be if there were more than one, but if people did not meet the standards, apart from just one, then this one person would be the only elder. Paul in Acts 7 is the only one mentioned doing the talking for several hours, until daybreak, and that didn’t seem to be a problem. Below we can read about Paul who alone did all the preaching when the disciples joined together. They apparently gathered in a large house because Eutychus fell down from the third loft. Paul also explains to the elders of the church how important it is that they keep the flock together. Unfortunately Paul also knows that there will be men of their own, speaking perverse things to draw away disciples after them. This is always the risk when leaders of a church in an attempt to be ”democratic” allow various people to rise up and preach even though they are not qualified. Preaching to others in a christian assembly is a great responsibility. Single pastors don’t equal selfish monsters with the only aim to spread falsehood around them. Paul spoke for hours upon hours in the below verses, and no one suggested it was selfish or unfair. Acts 20:1And after the uproar was ceased, Paul called unto him the disciples, and embraced them, and departed for to go into Macedonia.— 7And upon the first day of the week, when the disciples came together to break bread, Paul preached unto them, ready to depart on the morrow; and continued his speech until midnight. 8And there were many lights in the upper chamber, where they were gathered together. 9And there sat in a window a certain young man named Eutychus, being fallen into a deep sleep: and as Paul was long preaching, he sunk down with sleep, and fell down from the third loft, and was taken up dead. 10And Paul went down, and fell on him, and embracing him said, Trouble not yourselves; for his life is in him. 11When he therefore was come up again, and had broken bread, and eaten, and talked a long while, even till break of day, so he departed.— 17And from Miletus he sent to Ephesus, and called the elders of the church. 18And when they were come to him, he said unto them, Ye know, from the first day that I came into Asia, after what manner I have been with you at all seasons,—20And how I kept back nothing that was profitable unto you, but have shewed you, and have taught you publicly, and from house to house,—28Take heed therefore unto yourselves, and to all the flock, over the which the Holy Ghost hath made you overseers (episkopous), to feed (poimainein) the church (ekklesian) of God, which he hath purchased with his own blood. 29For I know this, that after my departing shall grievous wolves enter in among you, not sparing the flock. 30Also of your own selves shall men arise, speaking perverse things, to draw away disciples after them. Are there any Bible verses against paying pastors – if this is what a group of believers would prefer? Temples couldn’t have been totally free to run, and we know that the Levites got help from the other tribes when it comes to food and other products in order to work full-time in the tabernacle/temple. If some preachers were paid in the NT – perhaps if they accepted some collected money during their visits – we don’t know. We DO know that the bible nowhere forbids it. We must keep in mind that things were much different in the beginning when it comes to persecution, ability to work and get money, and the general culture. Changes don’t have to be wrong (except if they are against the Bible). What’s wrong with paying those who serve full time and put their entire lives into the ministry? Where is the sin? What is the better alternative knowing the culture of today? Today the normal situation for a family is that both the man and the woman have to work full-time to make ends meet, and that means you’re away from home most of the day since you also have to commute to and from work. An hour in each direction is not uncommon. When you get home around 6 pm you have to get the kids from the kindergarten, fix dinner, do some laundry and spend the little time you have left with your kids even though you’re TIRED and just want to go to bed. With other words, forget about doing any preaching or evangelization Monday-Friday. Now we have the weekend left. On Saturday you really need to do some major grocery shopping so you won’t have to do that during the rest of the week when you’re too busy. This might also be the only day of the week when you actually have time to do something together as a family, like going to the park and maybe the kids are doing some sport activities. You also have some cleaning to do, more laundry to handle, and a large pile of clothes to iron. You might also need to visit some relatives. So only SUNDAY is left. Of course you can try to fill it with preaching and evangelization, but you also need some time in prayers and private Bible studies, and you always have your family that requires your attention. Of course the situation will be easier once the kids grow up, but we’re still down to SOME hours during the weekend. Maybe it’s a better idea to PAY a person who is qualified for preaching? He could do this FULL TIME. If preachers, eager to spread the gospel, had to settle with Sundays, there is a risk that their fire might be quenched. The world has changed also in other ways. 2000 years ago people took care of their own elderly parents and handicapped family members but today people are getting paid for it. This system is hard to change over night, and if someone still wants to change it, I’d like to hear how this could be achievable. 1 Corinthians 9:13Do ye not know that they which minister about holy things live of the things of the temple? and they which wait at the altar are partakers with the altar?14Even so hath the Lord ordained that they which preach the gospel should live of the gospel.15But I have used none of these things: neither have I written these things, that it should be so done unto me: for it were better for me to die, than that any man should make my glorying void. Paul brings out how the Levitical method of provision for Priests carries over to the Ministers of the gospel. He says ”The LORD ordained it”. 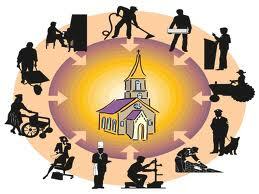 A priest could not effectively do what he was called to do if he worked a secular job as well. Why should we expect anything different for ministers of the gospel? Paul also brought out how that even though he had all right to receive money, he chose not to. He DID NOT say that it was wrong for others to do so. This would have been wrong of him, since his situation was different from theirs, as he was a traveling evangelist who was single, whereas others had families and homes. He clearly states that a man who preaches the gospel should also live of the gospel. As it says in other versions, ”the Lord has commanded that those who preach the gospel should receive their living from the gospel”. Unlike Paul, Peter had a family to take care of so some of his time and money must have been required to meet some of their needs. 1 Tim. 5:16If any man or woman that believeth have widows, let them relieve them, and let not the church (ekklesia) be charged; that it may relieve them that are widows indeed. 17Let the ELDERS (presbyteroi) that rule well be counted worthy of DOUBLE HONOUR, especially they who labour in the word and doctrine.18 For the scripture saith, thou shalt not muzzle the ox that treadeth out the corn. And, The labourer is worthy of his reward.19Against an elder receive not an accusation, but before two or three witnesses. 20Them that sin rebuke before all, that others also may fear. ”And sold their possessions and goods, and parted them to all men, as every man had need”. An elder with a family to provide for, and who spends a lot of time keeping the flock together, handles the administration, shares the true doctrine to others, makes other people disciples and even new ELDERS, would be in great need of some financial help, even though he would naturally do whatever he could to NOT be a burden to the Church. It should be a common interest for all of us to not be a burden to the Church, but to take all opportunities to make money. There are numerous ways to spread the word of God, and we don’t have to fear that we are doing the wrong things just because they are not explicitly mentioned in the Bible. We might make performances like skits or dramas in open air, sing christian songs in parks or outside shopping malls, take part in worship teams, participate in choirs and make concerts to the public, march around cities proclaiming Jesus and announce church meetings, make ads in newspapers/radio/TV, do street preaching and hand out leaflets and church invitations, place evangelist material in mail boxes, write christian books, start christian newspapers/magazines, show christian films on huge outdoor TV screens, make christian websites, write christian blogs, etc. Some things could not be mentioned in the Bible because they were not invented yet. We get GREAT help from copy machines, computers, cameras, video-players, DVD-players, CD-players, MP3, streaming, microphones, cell phones, amplifiers and credit cards, because we can reach many more people thanks to them and our work goes so much faster and easier. PRAISE GOD for new technology now when time is getting near for the return of Jesus Christ. Thanks to new technology also translating Bibles into foreign languages goes so much faster. The bible doesn’t say it’s a sin to view people as ”church members”, and it doesn’t say it’s wrong to have conditions for being a member. After all, we are told to not even eat with people who call themselves christians but who live unrighteously, so we certainly wouldn’t want anyone to be a ”member” among us. Today a matrix with members makes a lot of sense since you could use it to send out newsletters and other information. A meeting doesn’t have to be in a building (even though this was most common) and there are no specific rules how the interior of the building must look like. We can read about not giving the ”better seats” to someone just because he appears rich and has nice clothes. To have an ”altar”, or ”podium”, or a little high ”table” where the speaker could stand with his notes, a microphone and a glass of water makes perfect sense. Neither are there rules for how much you should decorate the church building or a home for these meetings. The tabernacle and the temple in Jerusalem were really costly and beautiful, but it doesn’t mean we have to have luxurious buildings for our meetings. One positive aspect of going away for a church meeting into a specific building for this purpose (just like the temples were used) would be to get away from your regular every-day-life in your home and feel particular in a special environment which is linked to GOD. Of course we can pray, sing and worship anywhere, but for certain regular church meetings it might not be a bad idea to do this in a certain building away from home. Moreover, today you might live in an area where people live in small apartments, and if ten people are gathered together the apartment might be full! Actually, there are usually limited space also in a house, because apart from multiple bed rooms there might only be one room left, and if you gather 10-15 people there, it’s packed! So if you feel there should be no meetings unless there are at least 2-3 elders present, then this might result in 3 elders, your family of 5, and 2 more friends before you run out of room. The case could be that none of them has the gift of prophesy or other gifts. Perhaps a church building would therefore be a better option, and part of this building could also be used as a resident for an elder with his family. This is in fact not uncommon. Then this elder might be able to pay for his part of the building, reducing the burden for the assembly. No, they are the ones attacking the church system, which could indirectly mean they are criticizing also those who attend church services. I hope it won’t lead to persecutions. When church-goers defend themselves, the AMCP might feel attacked, and some might even be offended that all christians won’t boycott the church system and stay at home alone as THEY do. Why would God call people out of a system for the reason that it’s unbiblical, just so they can live in an even MORE unbiblical way? That doesn’t make any sense at all. Why being so alarmed over people who live in an unbiblical environment when they themselves live in more unbiblical way? If a person complains about people who say ”go to church” and/or ”What a pretty church” and use the same expressions themselves, then they are hypocrites. It must be tiresome to always use quotation marks when saying ”going to church” even though the rest of the world understands perfectly well what they mean even without quotation marks. Jesus Christ should be enough, so we don’t need to go to Church? Can we really afford this mentality when it comes to babes in Christ? What if you go knocking on doors and succeed to make a person a christian by telling him about Jesus. Is it really enough to give him a Bible and some evangelist material and then leave, hoping he will continue on the narrow road? Isn’t it more likely he will remain on the right path if he hangs around with other believers, like in a church? By making church goers feel bad by condemning the entire church system and denying believers any freedom to arrange assemblies in their own way – even though they are not against any Biblical instructions – the AMCP are spreading legalistic influences. There ARE indeed multiple churches which are not according to Biblical instructions, but AMCP let these poorly functioned churches represent the entire church system. When should we leave Church? Jesus often spoke in the temple and in the synagogues, and a rule came up, that if any man confesses that Jesus is Christ, he should be put out of the synagogue. This was clearly an ungodly rule, but this didn’t cause Jesus to start boycotting the synagogues due to ungodly rules and leaders. John 9:22 These words spoke his parents, because they feared the Jews; for the Jews had agreed already that if any man confessed that He was Christ, he should be put out of the synagogue. John 18:20 Jesus answered him, ”I spoke openly to the world; I ever taught in the synagogue and in the temple whither the Jews always resort, and in secret have I said nothing. When the man in 1 Cor. 5 acted in the wrong way, then HE was supposed to be eliminated from among them. Not the others. There are indeed churches out there which are not working very well, but what if there are no other churches to join? Maybe it would be a good idea to stick to one ”ok” church than no church at all, just so you can influence others and make friends? We are supposed to make disciples and encourage one another in the truth. Not turn our backs on people we know are misinformed and deceived. Paul always tracked down churches during his trips, and if they didn’t work that well he tried to exhort and correct them. It’s true that we are not apostles like him, but the point is that we might be better off being in a church (at least once in a while) than in no church at all. The latter option would be MORE unbiblical than the former. And of course God would know that you have issues with various elements in the church because you feel they are unbiblical. God knows it’s not YOUR fault so he isn’t going to hold you accountable for them, but maybe you would be in his will if you tried to influence elders or some church members in the right direction (without being too self-righteous about it). Paul made numerous trips, and if there were christian colonies in those places where he went, he always managed to track them down. He also knew that his letters would reach the christians, because they stayed together and could share the content. Acts 20:7 reveals the practice of the early church: ”And upon the first day of the week, when the disciples came together to break bread, Paul preached to them.” For Christians in every location, regular gathering was a part of life. Wherever Christians are within range of each other in the New Testament, they meet. Acts 1:13 And when they were come in, they went up into an upper room, where abode both Peter, and James, and John, and Andrew, Philip, and Thomas, Bartholomew, and Matthew, James the son of Alphaeus, and Simon Zelotes, and Judas the brother of James. 14These all continued with one accord in prayer and supplication, with the women, and Mary the mother of Jesus, and with his brethren. Acts 2:1And when the day of Pentecost was fully come, they were all with one accord in one place. 2And suddenly there came a sound from heaven as of a rushing mighty wind, and it filled all the house where they were sitting. Acts 12:12And when he had considered the thing, he came to the house of Mary the mother of John, whose surname was Mark; where many were gathered together praying. 13And as Peter knocked at the door of the gate, a damsel came to hearken, named Rhoda. Acts 21:3Now when we had discovered Cyprus, we left it on the left hand, and sailed into Syria, and landed at Tyre: for there the ship was to unlade her burden. 4And finding disciples, we tarried there seven days: who said to Paul through the Spirit, that he should not go up to Jerusalem. 5And when we had accomplished those days, we departed and went our way; and they all brought us on our way, with wives and children, till we were out of the city: and we kneeled down on the shore, and prayed. 6And when we had taken our leave one of another, we took ship; and they returned home again. 7And when we had finished our course from Tyre, we came to Ptolemais, and saluted the brethren, and abode with them one day.—17And when we were come to Jerusalem, the brethren received us gladly. 18And the day following Paul went in with us unto James; and all the elders were present. Acts 28:30And Paul dwelt two whole years in his own hired house, and received all that came in unto him, 31Preaching the kingdom of God, and teaching those things which concern the Lord Jesus Christ, with all confidence, no man forbidding him. 1 Cor.2 Unto the church of God which is at Corinth, to them that are sanctified in Christ Jesus, called to be saints, with all that in every place call upon the name of Jesus Christ our Lord, both their’s and our’s:—10Now I beseech you, brethren, by the name of our Lord Jesus Christ, that ye all speak the same thing, and that there be no divisions among you; but that ye be perfectly joined together in the same mind and in the same judgment.11For it hath been declared unto me of you, my brethren, by them which are of the house of Chloe, that there are contentions among you. 1 Cor.3:3For ye are yet carnal: for whereas there is among you envying, and strife, and divisions, are ye not carnal, and walk as men?—4For while one saith, I am of Paul; and another, I am of Apollos; are ye not carnal? 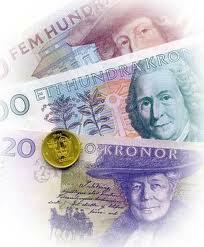 5Who then is Paul, and who is Apollos, but ministers by whom ye believed, even as the Lord gave to every man? 6I have planted, Apollos watered; but God gave the increase. 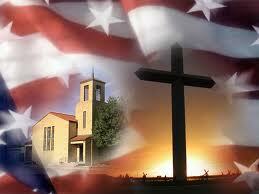 — 9For we are labourers together with God: ye are God’s husbandry, ye are God’s building. 1 Cor 6:1Dare any of you, having a matter against another, go to law before the unjust, and not before the saints? 2Do ye not know that the saints shall judge the world? and if the world shall be judged by you, are ye unworthy to judge the smallest matters?—7Now therefore there is utterly a fault among you, because ye go to law one with another. Why do ye not rather take wrong? why do ye not rather suffer yourselves to be defrauded? 1 Cor 7:17But as God hath distributed to every man, as the Lord hath called every one, so let him walk. And so ordain I in all churches. 2 Cor 7:14For if I have boasted any thing to him of you, I am not ashamed; but as we spake all things to you in truth, even so our boasting, which I made before Titus, is found a truth. 15And his inward affection is more abundant toward you, whilst he remembereth the obedience of you all, how with fear and trembling ye received him. 2 Cor.11:4For if he that cometh preacheth another Jesus, whom we have not preached, or if ye receive another spirit, which ye have not received, or another gospel, which ye have not accepted, ye might well bear with him. 5For I suppose I was not a whit behind the very chiefest apostles.— 8I robbed other churches, taking wages of them, to do you service. 9And when I was present with you, and wanted, I was chargeable to no man: for that which was lacking to me the brethren which came from Macedonia supplied: and in all things I have kept myself from being burdensome unto you, and so will I keep myself. 2 Cor. 12:12Truly the signs of an apostle were wrought among you in all patience, in signs, and wonders, and mighty deeds. 13For what is it wherein ye were inferior to other churches, except it be that I myself was not burdensome to you? forgive me this wrong. 14Behold, the third time I am ready to come to you; and I will not be burdensome to you: for I seek not yours but you: for the children ought not to lay up for the parents, but the parents for the children.—19Again, think ye that we excuse ourselves unto you? we speak before God in Christ: but we do all things, dearly beloved, for your edifying. 20For I fear, lest, when I come, I shall not find you such as I would, and that I shall be found unto you such as ye would not: lest there be debates, envyings, wraths, strifes, backbitings, whisperings, swellings, tumults: 21And lest, when I come again, my God will humble me among you, and that I shall bewail many which have sinned already, and have not repented of the uncleanness and fornication and lasciviousness which they have committed. Phil 1:5Hearing of thy love and faith, which thou hast toward the Lord Jesus, and toward all saints;— 7For we have great joy and consolation in thy love, because the bowels of the saints are refreshed by thee, brother. 2 Corinthians 13:1This is the third time I am coming to you. In the mouth of two or three witnesses shall every word be established. Heb 3:13But exhort one another daily, while it is called To day; lest any of you be hardened through the deceitfulness of sin. 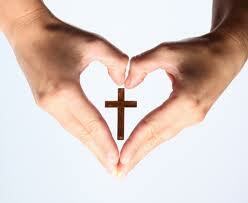 1 Peter 4:8And above all things have fervent charity among yourselves: for charity shall cover the multitude of sins. 9Use hospitality one to another without grudging. 10As every man hath received the gift, even so minister the same one to another, as good stewards of the manifold grace of God. 11If any man speak, let him speak as the oracles of God; if any man minister, let him do it as of the ability which God giveth: that God in all things may be glorified through Jesus Christ, to whom be praise and dominion for ever and ever. Amen. 1 John 2:19They went out from us, but they were not of us; for if they had been of us, they would no doubt have continued with us: but they went out, that they might be made manifest that they were not all of us. Jude 1:3Beloved, when I gave all diligence to write unto you of the common salvation, it was needful for me to write unto you, and exhort you that ye should earnestly contend for the faith which was once delivered unto the saints. 4For there are certain men crept in unawares, who were before of old ordained to this condemnation, ungodly men, turning the grace of our God into lasciviousness, and denying the only Lord God, and our Lord Jesus Christ. Out of all the things I write articles on and have read articles about, I don’t think I have ever dealt with this one nor seen anyone talk about it much. This is a timely and much needed article. It is very well thought out and presented. I will be sharing this one. Thanks for your encouragement, brother. I just had a major FB discussion where about 5 people were against me in this subject. I felt they ascribed views to me I actually don’t have. The entire church system is not rotten and something that God hates, and that is my main point. Wonderful! Thoroughly researched and powerfully written. This one article I will refer back to time and again for information. Thanks Sis. Annika for taking the time to write this much needed article.